In my last post I mention that Jack Ruby was seen outside of the Texas School Book Depository by a few witnesses and yet even though they mention this to the Warren Commission, it just gets swept under the rug. So the question is, did Oswald and Ruby know each other prior to November 22nd, 1963? That question seems to be leaning more and more in the direction that both men were hired for the same job and each of them knew the role of the other. But after the shots rang out in Dallas, something happened that made one of the men want to shut the other person up for good, while the other man was not about to go down without a fight. On my trip to Dallas, my wife just did not understand why Jack Ruby would just go and shoot Oswald in order to prevent Jackie Kennedy from going to a trial. That was the reason Ruby gave to investigators after he had shot Oswald to death. Her thought was that it does not make sense why he would just go and do that. I think she is right and she wanted me to look into it more. 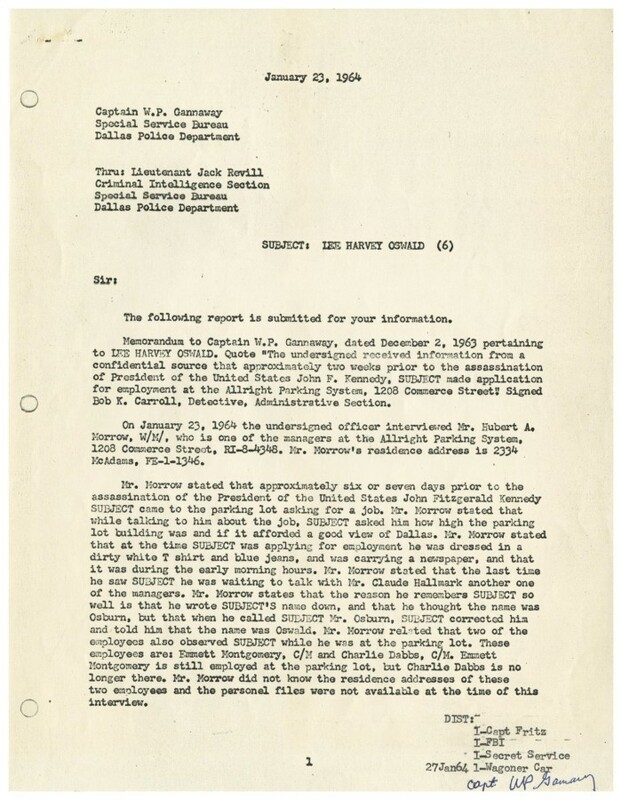 What I found was that Oswald in the days leading up to the assassination was looking for another job in Dallas. This job would be at the Allright Parking lot in downtown Dallas. It just so happens that this parking lot would be on the route of the presidential motorcade that was expected in Dallas in just a few days. It is also a parking lot that Jack Ruby frequents often and was seen there on November 21st, 1963. When Oswald showed up looking for employment, the manager in charge Hubert Morrow , remembered Oswald for several reasons. The first one was that when he was writing Oswald’s name down he misspelled it and wrote “Osburn” and when he addressed Lee with this last name, he was corrected that it was Oswald. The second reason he remembered him was that Oswald was asking about the height of the parking lot and the view it has from the top. He had asked if it had a good view of the city at the top. When the manager saw Oswald on television he immediately knew who he was and contacted authorities. This parking lot was the same lot, that Jack Ruby parked his car on the morning of November 24th, 1963 before he shot Oswald. As the authorities have indicated in some of their papers ,Ruby has been seen at this parking lot on several occasions before the assassination. The parking lot could have served as a meeting point between these two men, as they were trying to determine the best location for Oswald to take his shot. 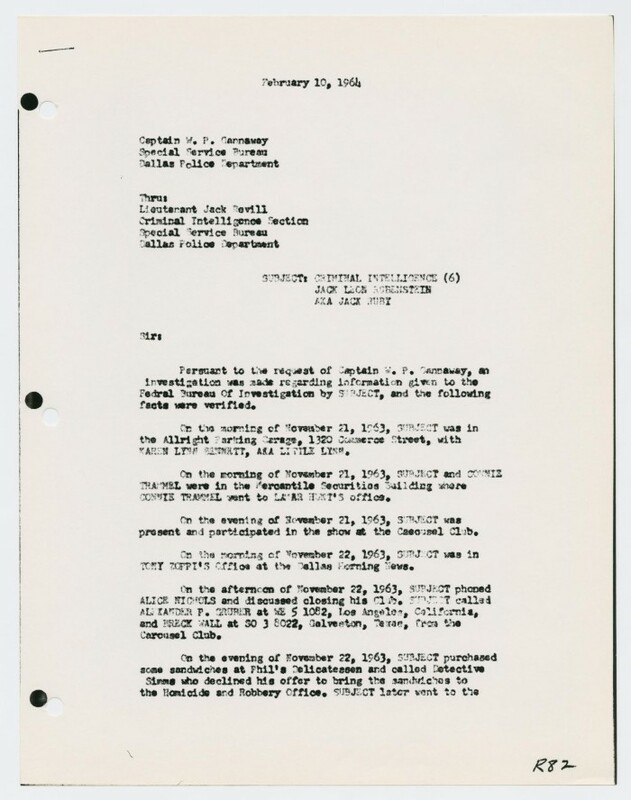 The job at the depository which was set up by Buell Frazier who in turn knows Jack Ruby through a mutual friend, would still be the ideal place to make this attempt. Could the job at the parking lot be Oswald trying to think of a better way to escape the ensuing chaos. He knows that if he was to shoot from the window at the sixth floor that he would have to make his way down the stairs to get to the possible getaway car. I think that Ruby’s presence after the assassination spooked Oswald and caused him to return to his rooming house to retrieve his revolver. Because he knew that when he fired the gun, that he only hit Kennedy once, and that he had heard that other rifle go off and that was not part of the plan. Lee Harvey Oswald wanted the fame and notoriety that would come from shooting at the President of the United States, but he was supposed to be alone and he wasn’t. Carroll, Bob K.. [Intelligence Report – Allright Parking Lot Application, January 23, 1964], Legal Document, 1964; digital images, (http://texashistory.unt.edu/ark:/67531/metapth190240/ : accessed December 06, 2013), University of North Texas Libraries, The Portal to Texas History, http://texashistory.unt.edu; crediting Dallas Municipal Archives , Dallas, Texas. As the research into the Kennedy assassination continues into its 26th year for me, it is still easy to find things that are hard to understand. Like most of the assassination, there are things still left to be answered and yet many levels of the government and police agencies have refused to answer. 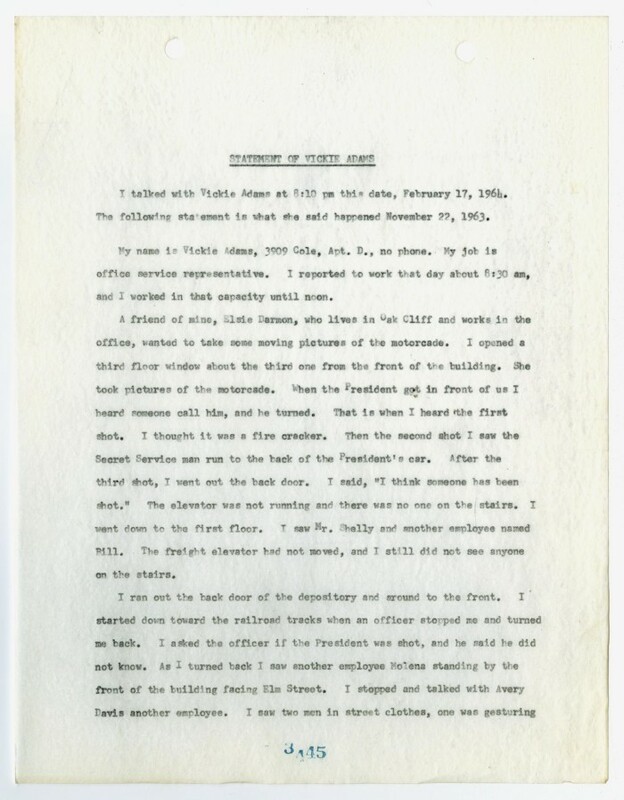 I was recently looking through the Dallas Police files of the assassination and found the statement given by Victoria Adams. 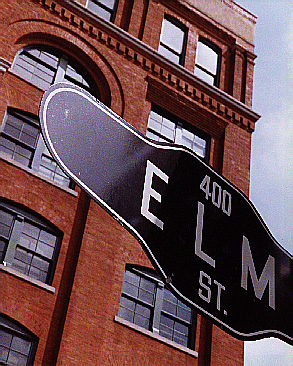 In her statement that she gave to Dallas Police detective James Leavelle, she states that she remembers seeing Jack Ruby outside of the Texas School Book Depository. The statement does not start off as bold as the ending as she mentions that she was with three other employees who were anxiously awaiting the arrival of the presidential motorcade. One of the women that was with her at the time was Elsie Dorman. This is the same Elise Dorman that filmed the motorcade as is came up Houston and turned onto Elm street. The Dorman film would not be seen by the public for more than 40 years. After she hears the first shot, she thinks it is nothing more than a firecracker. Then after the second shot, she see the secret service agent run towards the limousine and she knows something is wrong. As she is running towards the elevator she hears the third and final shot. By the time the third shot goes off, they had reached the elevator which is not working. They then use the stairway to get down to the bottom floors. This would be the same set of stairs that the Warren Commission claims that Oswald is using at this exact time to get down to the lunch room where he is found by Officer Baker. The problem is that Vickie Adams and her friends do not hear anyone else on the stairs with them. Once they reached the front of the building they encounter the chaos that has become of Dealey Plaza. She then heads towards the railroad tracks where she is met by a police officer who tells her to go back to where she came from. As she is walking back to the building she notices two men in plain clothes stopping people and asking them questions. One of these men is waving down people and trying to get information from them. One of the men that was asking questions she recognizes on the television a few days later. His name was Jack Ruby. Why would Ruby be at the scene of the crime? Could he have been there to make sure that the job was done and that everyone needed to think that the shots came from the building and not the grassy knoll? This question was not followed up by neither the Dallas Police or the F.B.I and they did not include the testimony of Vickie Adams in there final report. The relationship between Oswald and Ruby seems to be a working relationship and that they both had the job, but they were working on opposite ends of it. It seems the people that Ruby is working for wants everyone to think the shots came from above, and from the window that Oswald was supposed to be at. There are lots of twists and turns in the Kennedy Assassination, and it is hard to think that it could have all been done by one man. These kind of witness statements are the keys to the truth in this investigation. 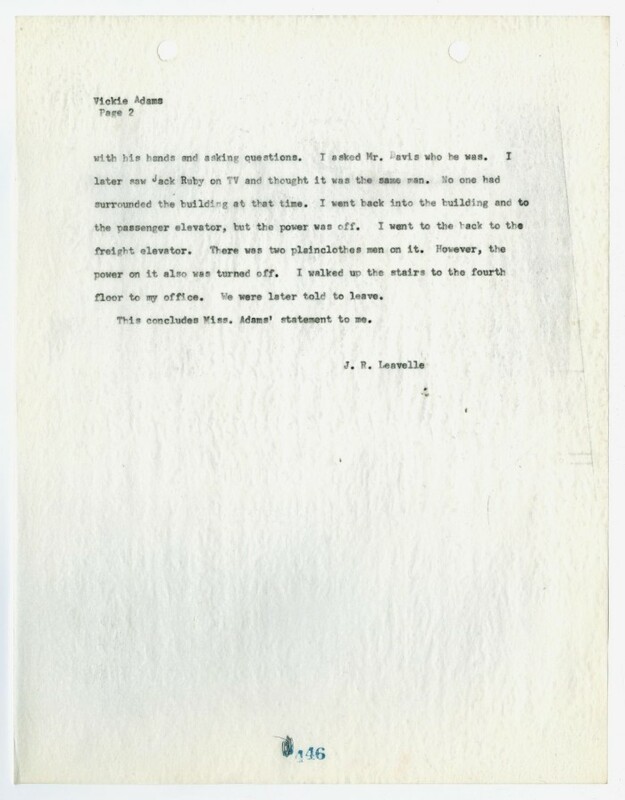 Leavelle, J. R.. [Report concerning interview with Vickie Adams, by J. R. Leavelle], Legal Document, n.d.; digital images, (http://texashistory.unt.edu/ark:/67531/metapth340453/ : accessed November 30, 2013), University of North Texas Libraries, The Portal to Texas History, http://texashistory.unt.edu; crediting Dallas Municipal Archives , Dallas, Texas.